appointed bath. 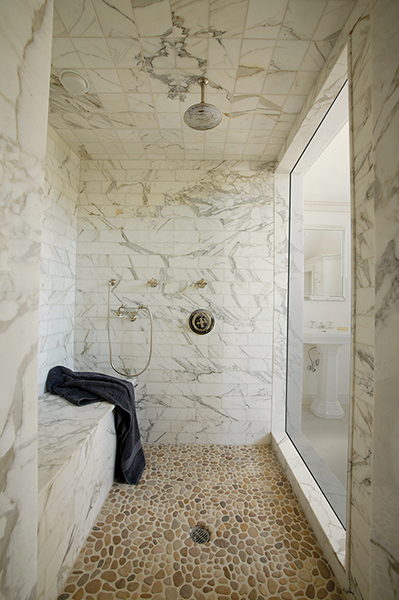 You would have the large deck of tile or marble surrounding the tub and maybe even steps around. But today the tub is taking center stage in a whole new way: as a work of art and standing proudly alone. A result of today’s trend towards a simpler and more streamlined style, the tubs of today still have all the wonderful features of the past, but in a more streamlined and practical package. 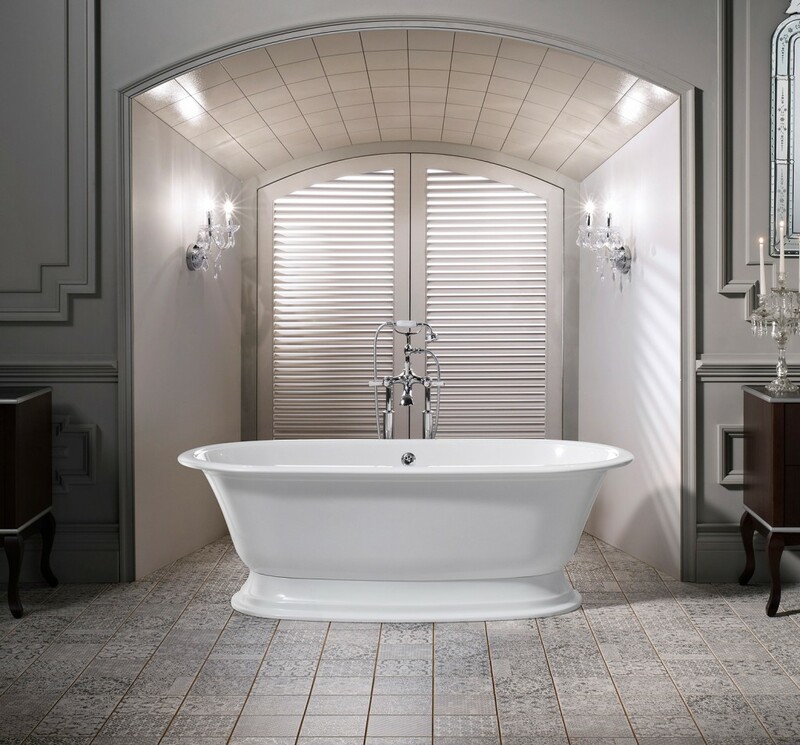 Whether in the center of a room or beneath a beautiful window, today’s tub is a study in shape and simplicity. Large Shower – Perhaps as a result of the tub now becoming more streamline, the showers are continuing to become larger and larger. The standard 3’x6’ shower just won’t cut it anymore in today’s high end master bath. Large showers of 4’ x8’ are becoming the norm. Don’t have the room: today many times we are seeing master bathes without a tub at all, in order to accommodate todays large shower environment. Standard equipment today includes: body sprays, rainheads, LED lights, heated tiles and steam units. And many times there are two of each item: one for her and one for him, each with their own controls. Heated Floors – A staple in Europe and many northern American cities for years, this is becoming a big trend here in the South, mainly due to the last 4-5 years of record cold and snows we have been experiencing. Clients are demanding that their new baths have heated tile floors. And with good reason: not only do they provide warmth on your bare feet but they truly can heat the room itself and knock the chill out of the air on a cold morning. Heated floors are even more of an essential in older homes where drafts and poor insulation are more common. Today’s systems have timers so that you can have a toasty floor and room before you even awake. Natural Quartz Tops – For years everyone wanted granite. Then it was natural marble. Now we are seeing more and more clients requesting natural quartz countertops. Beautifully mimicking natural marbles and stones, this man made product is scratch and stain resistant. It comes in so many colors and patterns and for the best part: it is consistent and it requires no special cleaning or maintenance program. For someone who wants their countertop to be low maintenance and look great for years , this is the best choice. Plus for larger tops and applications, it comes up to 10 ft. in length, something that can’t be said for most marble, thus eliminating seams. 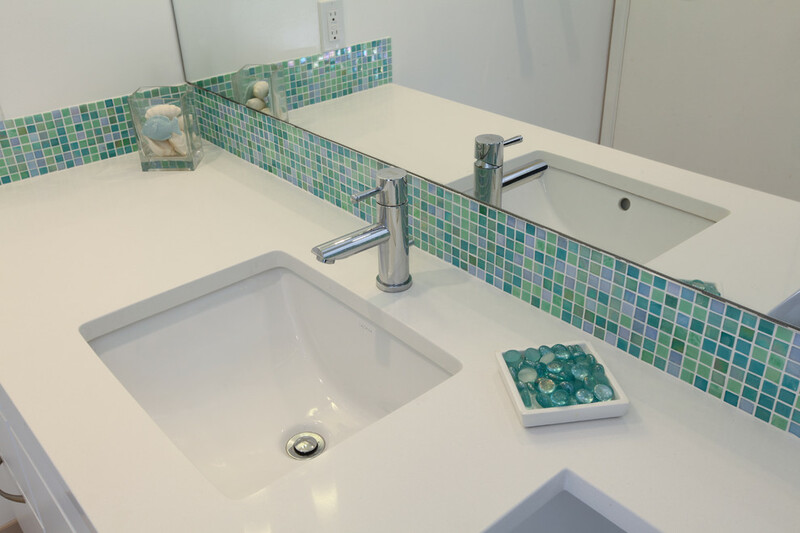 Tile that Makes a Statement – Up until recently, you had a few choices in tile. You would pick a 12x12 or 18×18 tile on the floor. Then you would put the same tile in the shower. Maybe you would add a decorative accent tile as a border around the shower or maybe even do a different shape, like a brick or subway tile for some different shape or interest. Today, the tile world has exploded with new options. Tile today is taking center stage in the bath with choices that include large patterns, sculpted tiles and printed and patterned tiles that make a real statement. As a result, we are using tile in much larger and more dramatic ways: covering entire vanity walls with tile or creating walls of art in the shower by selecting just the right tile. 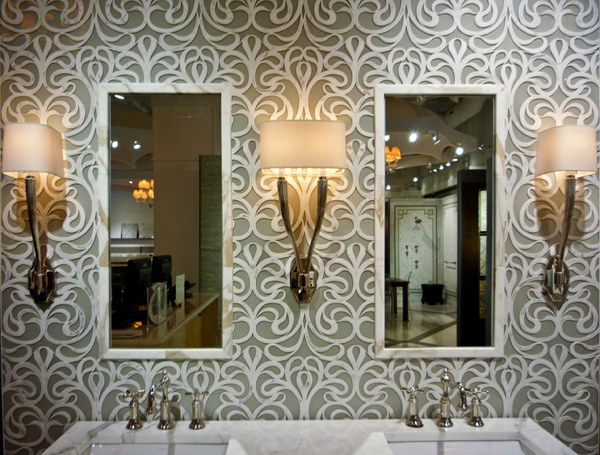 Today, tile is like wallpaper: hundreds of patterns, styles and colors to fit into any style and environment. Try to incorporate a few of these trends as you think about your bath renovation. You will be so glad that you did each morning and evening that you step into your bath. See more great bathroom trend examples on our pinterest board, click here.